The following script is provided with the embedded video. Click the photo above to watch the TV newscast. 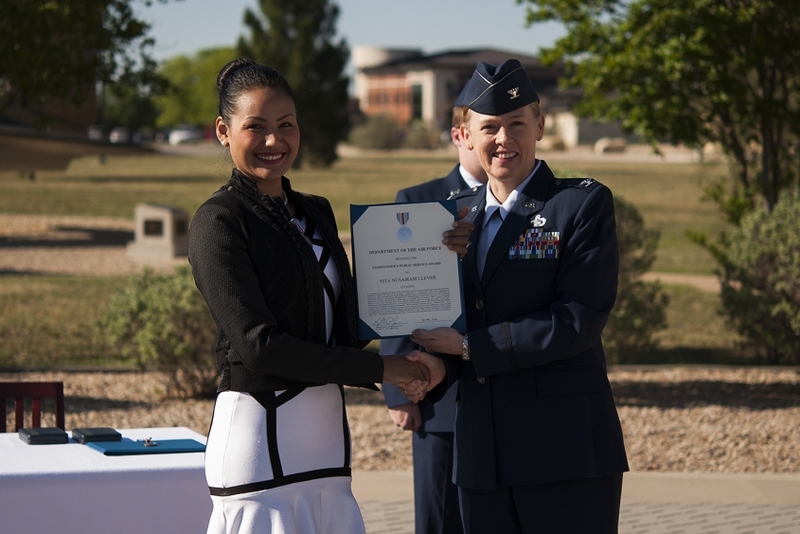 The 17th Training Wing video is available on Facebook. Click 17TRW/PA Video below. 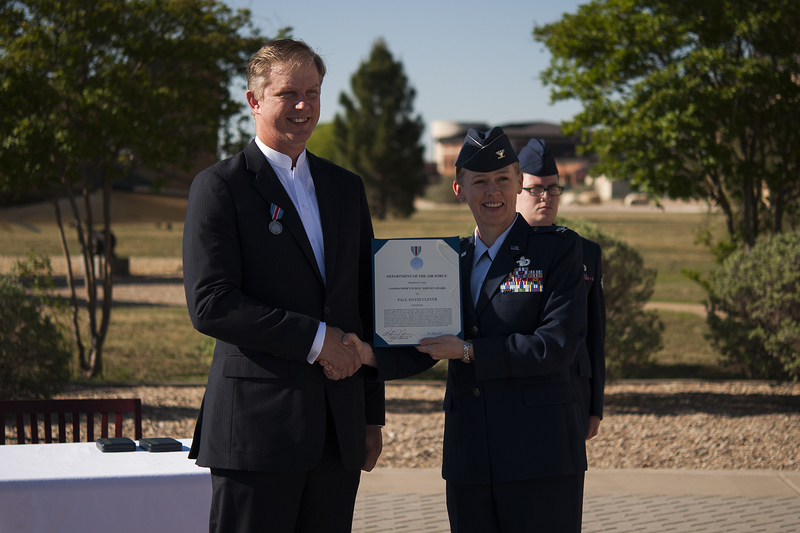 April 30, 2015 : SAN ANGELO, Tx - Two people were honored at Goodfellow Air Force Base Thursday for a successful mission. They helped bring home a crew whose plane went down decades ago. In their search and recovery mission to Thailand (and Laos), they brought home remains of Vietnam veterans leading to the identification of 3 of the 10 crew members. Senora Scott spoke with the husband and wife team. "The accounting of my dad was really weak, there wasn't any evidence that he was actually killed, there was actually a long time delay from when they crashed to when they found the crash site, so what the families received was just 'he's dead, we're sorry, get on with your life,'" Paul Clever said. But Paul couldn't. The thought of never having closure stayed with him. Decades passed and he began to learn all he could about the crash and how to go find it for himself, after years of planning and research he was ready but no one else was. His wife, who grew up in Thailand stepped in. "I look at my husband and he really want to go, he really want to do this mission, and I say 'Honey, I am going with you,' and he say 'Honey, I'm not sure with that, it's really difficult trip, it's scare,' and my deep thinking, I scared too but I mean, why not? and for me I mean, if one life, if I have something to helping him to do for him, I will do it," Nita Clever said. "We were walking along a creek bed and there was a glimmer of light that came up from the ground after two and a half days, something small like that would stand out it just isn't the norm. and the more we looked the more we started finding things that could've only come from an aircraft and so we knew we'd found it," Paul Clever said. Even with the remains and artifacts back in the U.S., there was still testing to be done. When it was completed, 7 of the 10 crew members were identified, one of those was Paul's father, who finally made it home. "Without that emotional closure, it's always with you, it's always with you and it wasn't' even so much that dad was part of what we brought back but dad was home, we've got him. It's like the funeral is finally ending and we're gonna celebrate, my dad lived a great life and we're gonna celebrate," Paul Clever said. The Clever's are planning on going back to Thailand and Laos and other places overseas to complete at least four more search and recovery missions.